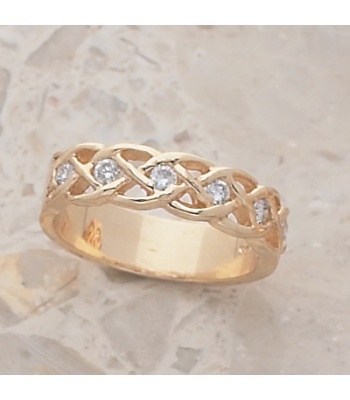 This ring is made in 14K yellow, white or rose gold with 4 diamonds (shown here with 6 diamonds) within the knotwork across the top. 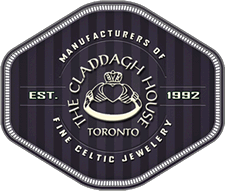 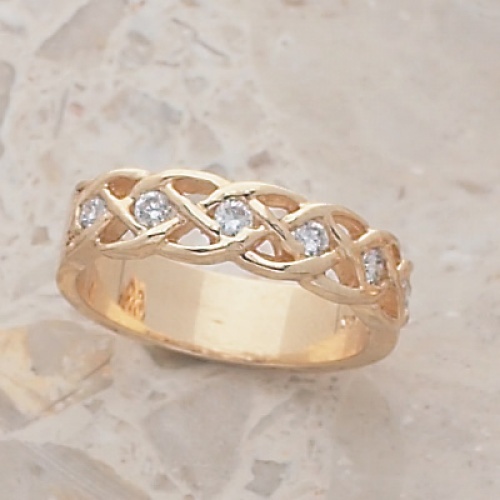 The knotwork does not go all the way around the ring. 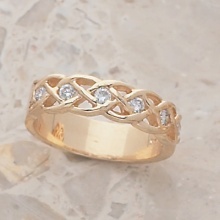 Also available with 6 diamonds or diamonds all the way around the band.